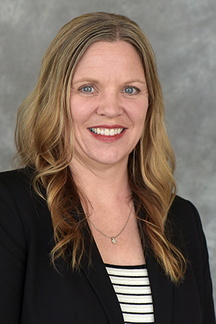 Angela Buffington, PhD, MA, is the director of behavioral medicine for the University of Minnesota Mankato Family Medicine Residency. She also serves as the Associate Director of Faculty Affairs within the Department of Family Medicine and Community Health. Her clinical practice is a neuropsychology consult service, assessing neurocognitive functioning in persons with various health comorbidities. Buffington’s work in the differential diagnosis of dementia has sparked an interest in how dementia presents and is diagnosed in primary care settings. She also enjoys helping residents target areas for health behavior change in their patients. As faculty at the department's residency program in Mankato, she's inspired by resident physicians every day, and enjoy working with and having a role in their professional growth and development. Buffington ALH, Lipski D, Westfall E. Dementia: an evidence-based review of common presentations and family-based intervention. J Am Osteopath Assoc. 2013;113(10):768-75. Martin B, Buffington ALH, Welsh-Bohmer KA, Brandt J. Time of day affects episodic memory in older adults. Aging, Neuropsychology, and Cognition. 2008;14(5).